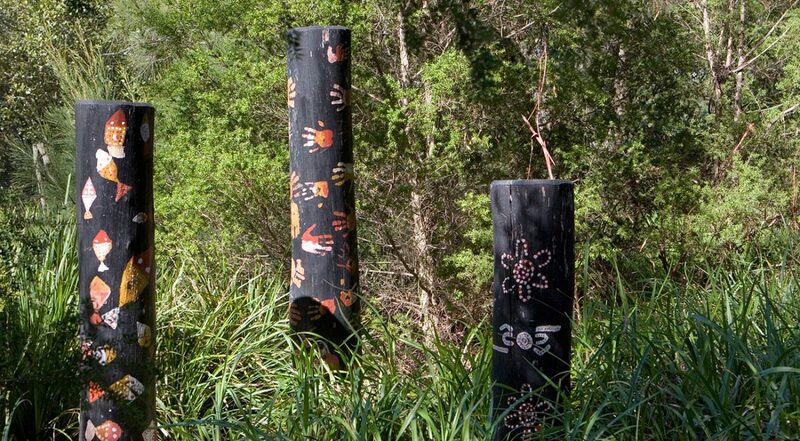 Aboriginal people have lived along the Cooks River for more than a thousand generations and this rich cultural heritage is evident in locations along the river. The Wanngal, Cadigal and Gameygal people, together with Aboriginal people from around the country, have made the Cooks River their home, and developed a strong sense of custodianship for Aboriginal heritage and the environment. The Cooks River continues to be a place of importance to Aboriginal people today and in the future. To acknowledge, celebrate and share these associations, the Cooks River Alliance are working on a number of projects. There is a long history of Aboriginal associations with the Cooks River catchment found from the archaeological past, and oral and documentary history from more recent times. This project compiles and reviews previous research and records to create a comprehensive narrative of the Aboriginal history of the Cooks River catchment, including oral histories and a database of sources. More information. How did Aboriginal people live in the Cooks River Catchment? This project uses historical records to share traditional ecological knowledge of the Cooks River catchment and uses computer simulation to create a virtual Cooks River prior to European settlement. The interactive simulation allows users to explore a virtual Cooks River, prior to European settlement, while completing a set of cultural tasks. As they progress, they learn about plants and animals, traditional practices such as constructing a gunya, building a canoe and making a fire and hearing the traditional Dreamtime stories associated with the land, the animals and the people. More information. This event was held on June 16, 2017 to celebrate Aboriginal communities’ stories, histories, traditional knowledge and associations with the Cooks River. See details.